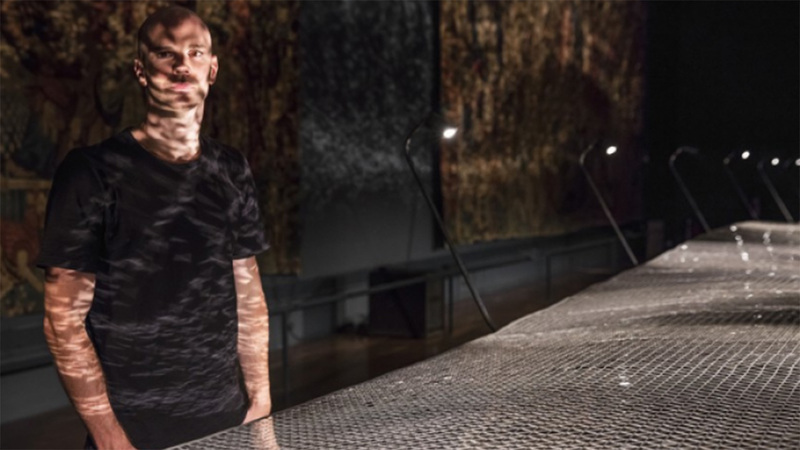 German electric razor brand Braun has teamed with British designer Benjamin Hubert to create an immersive kinetic installation at London’s Victoria & Albert Museum (V&A). 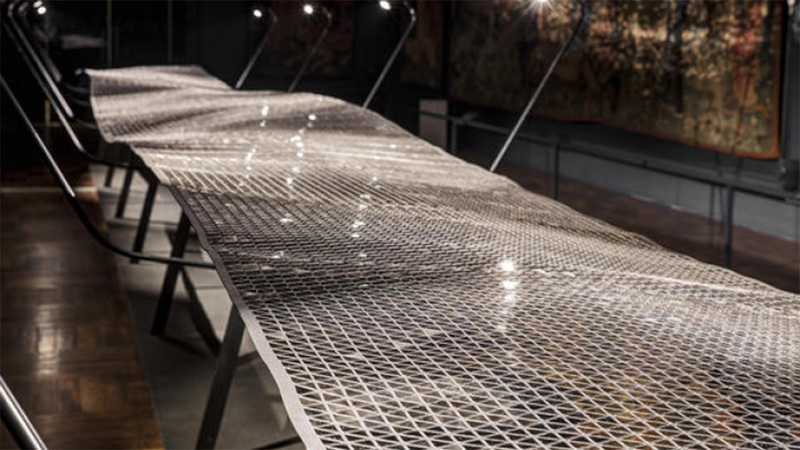 The collaboration, which is part of the London Design Festival, consists of a large rotating sculpture of metal panels, which aims to replicate the blades of an electric shaver. ‘Foil’ is composed of 50,000 mirror finish stainless steel triangle panels, which are in constant motion, thanks to a large motor. As the panels move, LED lights reflect off the surface to create a moving pattern across the walls and ceiling. “It means the room has a noticeably different atmosphere to the rest of the museum. This is enhanced by the Foil installation, which reflects dappled light from a tailored LED lighting system onto the darkened walls,” reports Dezeen. 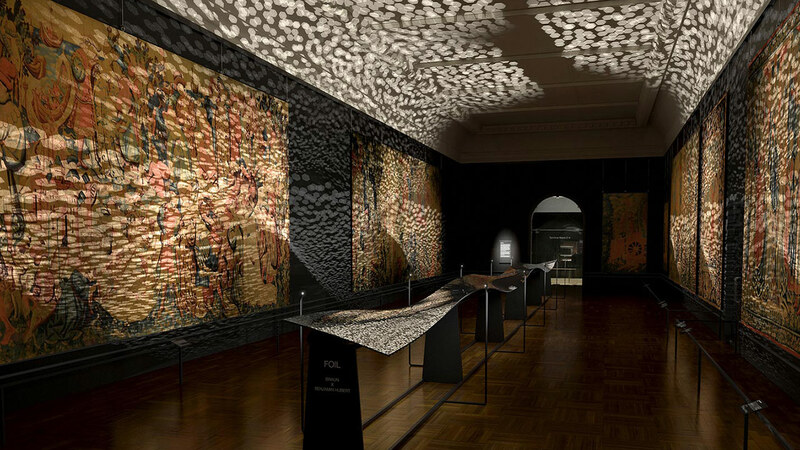 The effect of the rippling light patterns across the medieval tapestries, the soundscape, and a noticeable change in atmosphere, all combine to create an immersive and engaging experience for the viewer. The aim of the installation is to celebrate the precision engineering of Braun’s shaver foil and the 360-degree movement of the blades. “We wanted to take some of that super-German engineering, and some of the things people overlook in shavers and products like that and turn up the volume on it, turn up the scale,” Hubert told Dezeen. “The idea is to elevate and celebrate the finish on the next generation of Braun shavers. The shavers are industrialized consumer goods, and most people don’t appreciate the engineering that is behind individual elements. 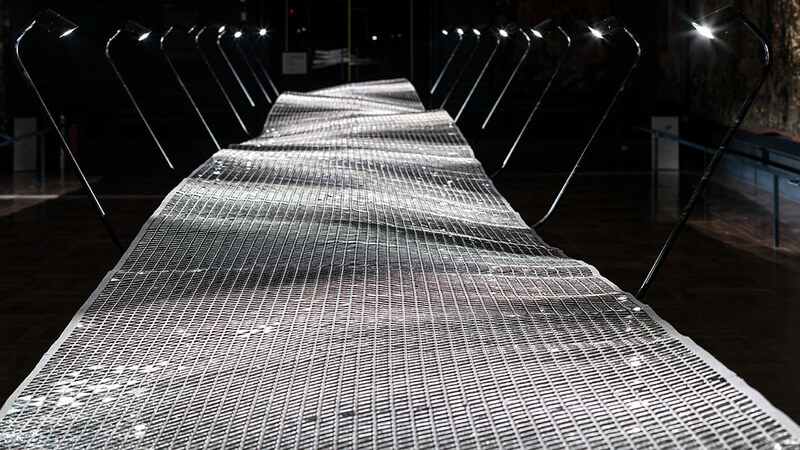 We thought it would be interesting to take inspiration from something that is often overlooked and create a highly engineered immersive experience,’ Hubert told Design Boom. Braun worked with Hubert and experience design agency Layer to create the project, which is a surprising direction for this quiet and predictable brand. Braun is not known for big artistic projects, its advertising and marketing tends to be more predictable messaging around the precision of its products and the benefits of being clean shaven. In contrast, this is a bold and unexpected direction. As a piece of branded art, ‘Foil’ is a hypnotic and engaging feast for the senses, it is a visceral and emotive piece. 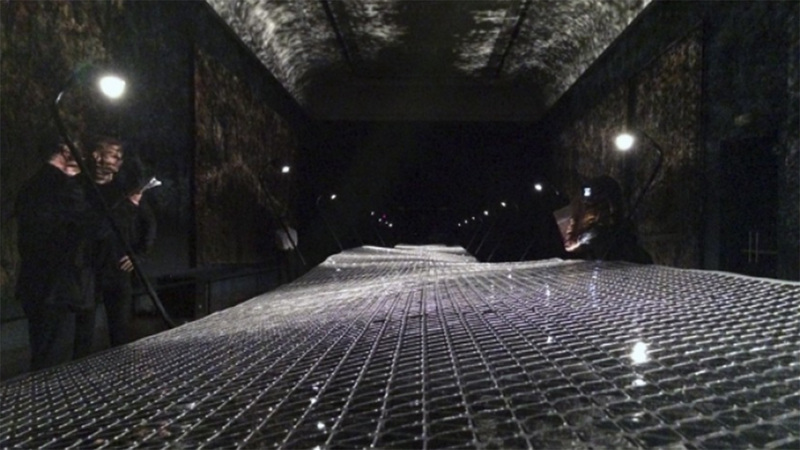 It is an installation that makes the viewer feel differently and reports state that people would fall silent and whisper in the room when viewing it. Nothing about this says razor brand, in fact, it seems completely at odds with a razor brand. Obviously, the sense of movement and the nods to the blades and the precision of the razors are a nice tie-up but it still seems quite a leap. However, it is that surprise that causes you to think about the brand, and therefore re-think the brand. We can only assume the aim of this surprising collaboration is to engage an audience of design and art lovers and have them reconsider the brand, which many no doubt will. This installation will certainly elevate the brand in people’s minds. What the outcome of that will be though is harder to see. ‘Foil’ is an intriguing collaboration and an impressive installation, it makes Braun a brand to keep an eye on.